Christmas is almost upon us and I'm trying to do good this year and get everything done on time. I did get my house decorated and my Christmas cards written. Amazing feat for me, let me tell you, but with my sister still recovering from her surgery, and the cold weather we are having, I am forced inside and are getting caught up. Next, is the cookies and the shopping. We are starting our shopping tomorrow afternoon. I actually don't like shopping that much. I would rather do it on line, but I seem to always get the packages and are none too pleased with what I ordered. So, off to the mall. In between all of this I need to write, which I haven't been doing much lately, I must confess. I will try to change that today and work on Lore and maybe the outline. For some reason, I can't get into it without my sister here with me. I have no idea why. We are sending the first chapter (prologue) to our critique partners today. That makes it official. We are starting Lore! I do miss my sister though and wish she was healed and ready for writing. It has been a tough year. On a good note, I should receive the proof for Fated in the mail today and maybe we can get the books ordered this weekend. I'm looking forward to seeing it in print and holding it in my hot little hands! Hopefully by this time next week, Fated will be on Amazon and available for purchase! I'm very excited about that! If you are in the Denver area you should come out to our launch party on December 20th at 6:30 at Bean Fosters in Golden. It would be great to see you! Back to the task at hand, Christmas. Are you getting everything done for your holiday celebration? Or are you behind since Thanksgiving was late and we lost a week? 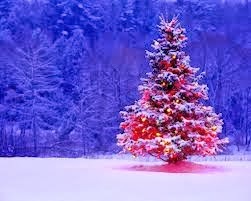 Leave me a comment and share your holiday blues, or thoughts with me. 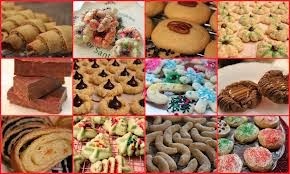 I would love to know your traditions and if you have any great cookie recipes, pass them on. I'm always looking for new ideas! In the mean time, have a great weekend. For me, it will be a celebrated one since my birthday is Sunday. My daughter has arranged for the family to get together and have brunch at a local restaurant, so that should be fun! An early,Happy Birthday. Mine was last Sunday, as well as my wedding anniversary, and my baby brother's birthday. Whew! The house is completely decorated, and most gifts have been purchased. I have been busy with the film project. We had our last meeting yesterday, and the director will begin writing the script. The funding source has also been notified. Very tiring. Time to concentrate on my two novellas, and the book I'm co-writing with my cousin. Hope Toni gets better. Blessings to you guys.